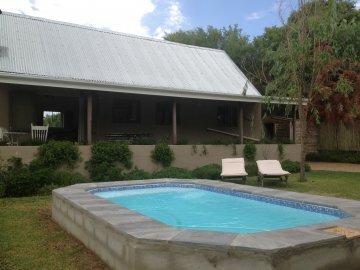 Tucked away in a panhandle plot, the secluded setting of this charming self-catering cottage has a lovely country feeling, even though one is only a few blocks away from several excellent restaurants and the 'shopping district' of Riebeek Kasteel. Beautifully appointed, the accommodation has a contemporary country feeling with its double volume, open-rafter living space, original art and tasteful touches. The cottage's garden is private and safe with high fences all around and an automatic gate at the entrance. 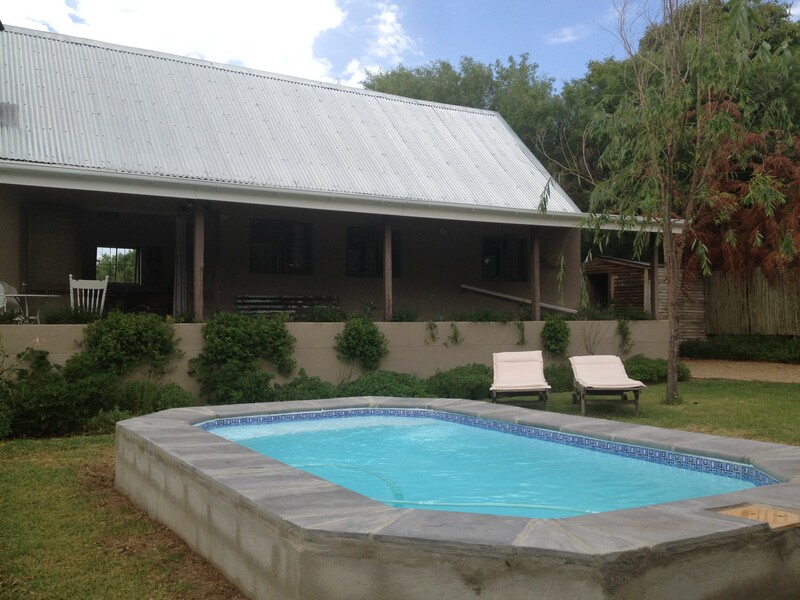 Enjoy sitting on the veranda overlooking the garden or cool off in the sparkling splash pool on hot summer days, or relax at the picnic table under the White Karee tree, perhaps with a glass of chilled wine while the braai is going. A neighbour's chicken might even visit, after all, this is country living at its best!